We all know police dogs work hard, that goes with the territory. But they’ve got to play hard too, at the end of the day they are equal parts adorable doggo and crime fighting badass. And sometimes the police want to show off their courageous canines too, be it on social media, on a routine patrol or, in this case, in a charity calendar. 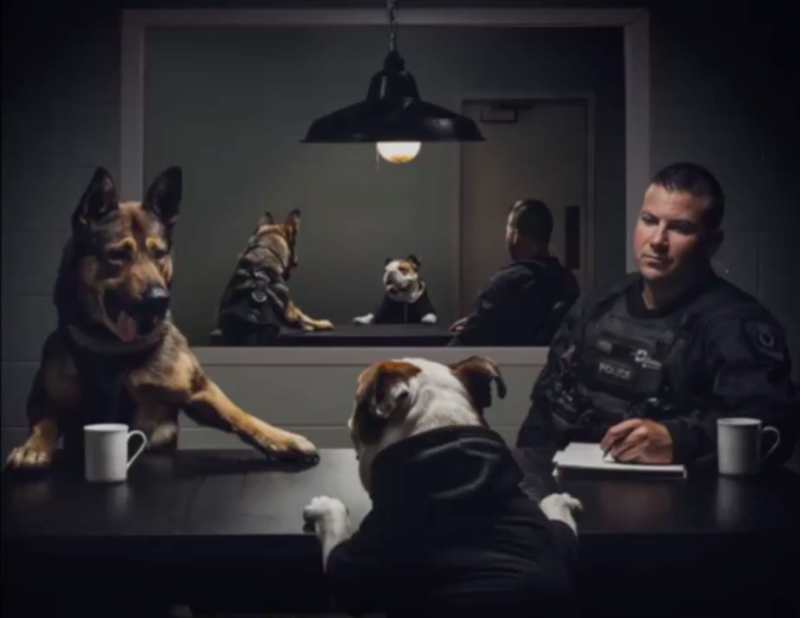 Vancouver Police Department have made the most of their barking bobbies by making them the centre of attention for their 2019 charity calendar. Created by retired Sgt. Mike Anfield in honour of his wife Candy, a police officer who sadly died of breast cancer in 2004, the calendars are to raise money for the BC Cancer Foundation and BC Children’s Hospital Foundation. The calendars cost $15, at the moment they’re only available in Canada, but the police force have said they’re working on shipping it elsewhere too. For now, thanks to our friend The Internet, we can see the pics of the police pooches online. The Vancouver Police Department have been selling their calendars since 2010, and have so far raised over $200,000 for charity. 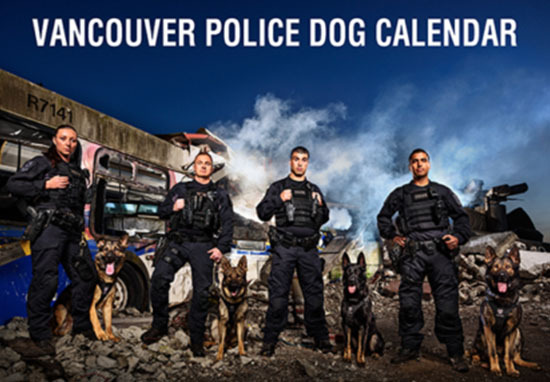 #ICYMI the Vancouver Police calendars officially went on sale today! To celebrate the launch, the police department even held a meet and greet with their canine crime fighters. The calendar features the four-legged officers of the VPD Canine Unit in various locations around Vancouver. If you fancy one for yourself, check out their website here. Of course, not all dogs are cut out to be police dogs. They have to have a certain temperament, and have a nose for crime. One dog in Brisbane, Australia, had to be let go from the police force after he was just too darn friendly to be a copper. A German shepherd named Gavel was hired by the Queensland Police Service to sniff out explosives and catch thieves, but just didn’t have the heart to be the kind of dog they wanted him to be. Gavel comes from a long line of pedigree… if the family bloodline is anything to go by, in 16 months Gavel will be tracking and catching criminals as a proud member of the Queensland Dog Squad! However, after some training, the police explained that Gavel ‘did not display the necessary aptitude for a life on the front line’. So Gavel wasn’t fit for a role with the fuzz, but thankfully he soon found his calling. Shortly after he turned in his badge, Gavel was swept up by Governor Paul de Jersey, who threw him a bone in the form of a new job. The governor adopted Gavel, and he became the official Vice-Regal dog, with new duties such as welcoming visitors and attending official ceremonies.